Your wedding ring is an expression of your love and commitment for that special someone. Engraving a heartfelt sentiment on your precious gold or diamond ring lets you and your partner cherish that special moment forever. Not to forget, in this fast-paced world, it is one of the best ways to preserve special words and thoughts for ages to come. These are among the most popular options between newly engaged couples. Dates are easy to fit inside the band of a ring. The date may have a significance to you or the two of you as a couple. You can choose the date of your engagement, the day you met, or any other special occasion. Some choose to engrave their partner’s initials along with theirs, or their middle name. You may come across a quote that expresses your feelings towards your partner perfectly. 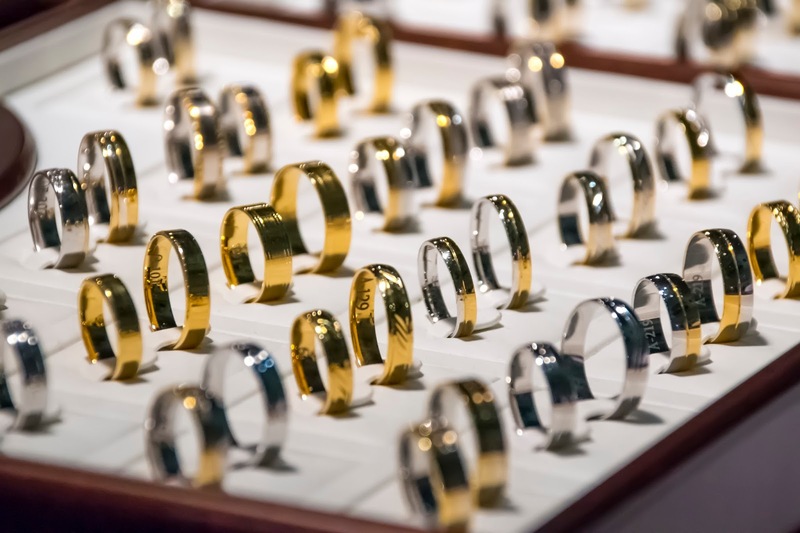 You can get them artfully engraved on the band of your ring. You can also choose a simple saying such as ‘I do’, ‘Forever’, or ‘You and I’ to express how you feel. If you and your partner are the fun-loving kind, you can consider inscribing something funny on your engagement ring. This will symbolize the lighthearted and positive connection you have with your partner. You can choose something like ‘May the force be with us’, ‘Non-refundable’, ‘You’re stuck with me now’ or an inside joke that only you and your partner understand. If a foreign language has meaning to you as a couple, you can choose a saying in that language which signifies your love for each other. A simple ‘I love you’ can sound beautiful in any other language. For example, the Latin saying ‘Nunc scio quid sit amor’ by Virgil translates to ‘Now I Know What Love Is’. It is all about how you feel for your partner that goes into the engraving of your engagement ring. Inscribe something that you and your partner can cherish for decades to come!